Mortgage fraud rose by 12.4 percent year over year in the second quarter of 2018. Income falsification is the fastest-rising form of mortgage fraud, up by 22.1 percent on an annual basis. California ranks as the country’s ninth-riskiest state for mortgage lenders. Intense demand for U.S. real estate combined with a shortage of homes on the market have caused prices to soar over the past few years, helping to fuel an increase in the number of Americans who are dishonest on their mortgage applications. CoreLogic’s 2018 Mortgage Application Fraud Risk Index rose by 12.4 percent in the second quarter from the same period in 2017. The company estimates that one in 109 mortgage applications — or 0.92 percent — contain false information. Income falsification is the fastest-rising source of mortgage fraud, up by 22.1 percent from the second quarter of 2017. In a statement accompanying the report, CoreLogic Fraud Solution Strategy Principal Bridget Berg also pointed to undisclosed real estate liabilities and suspect down-payment sources as common ways that potential borrowers are trying to deceive lenders. Berg noted that most Americans who commit mortgage fraud are bona fide buyers who are dealing with a highly competitive and expensive market. 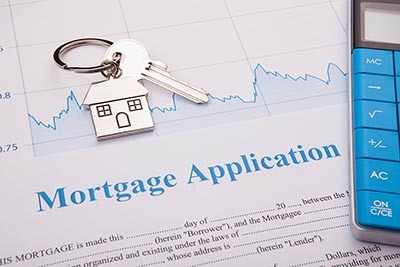 As mortgage rates rise, the landscape is moving from more borrowers who are refinancing to mainly purchase loans, which is also helping to drive fraud, as purchase loans are inherently riskier. Increased activity by out-of-state investors is another factor, as markets with high concentrations of such buyers have an 80 percent higher delinquency rate and a 114 percent higher foreclosure rate compared with areas where most buyers come from in state. New York, New Jersey, and Florida are the three states where borrowers are most likely to falsify information. California ranks as the nation’s ninth-riskiest state for lenders, with fraud activity up by 6 percent from the second quarter of 2017. Mortgage fraud rose by 11 percent in the Los Angeles metropolitan area and by 17 percent in Oxnard, still relatively low increases when compared with cities like El Paso, Texas and Albuquerque, New Mexico. In the 2015 film “The Big Short,” investors who predicted that the U.S. housing market would crash in 2007 cited an increase in mortgage fraud as a key metric in their projections. However, several recent reports, including one by National Association of Realtors Chief Economist Lawrence Yun, have said that there are no real current reasons to fear a housing bubble.